SBI PO Salary 2018: State Bank of India (SBI) has released notification for recruitment to 2000 vacancies (excluding 118 for PWD and 38 backlog vacancies) of Probationary Officers. The official notification for SBI PO 2018 recruitment has been released on April 21. The last date to fill SBI PO application form is May 13. Candidates who qualify the recruitment process will be eligible to receive SBI PO salary starting at basic pay of Rs. 27,620. 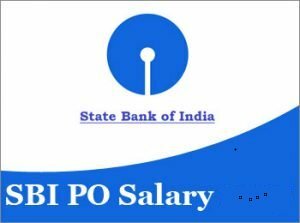 The pay scale of SBI PO 2018 salary for Junior Management Grade Scale-I is 23700-980/7-30560-1145/2-32850-1310/7-42020. SBI PO is the most sought after bank job in the country due to its good renumeration and employee benefits. Apart from this, the qualified candidates will get 4 advance increments which is added to the basic. This article has explained in details the SBI PO salary. Candidates under SBI PO 2018 recruitment process will be selected on the basis of preliminary exam, mains exam and group exercises & interview. The candidates selected for allotment as Probationary Officers (PO) will be on two years probation period. Candidates can check below for more details on the SBI PO salary 2018. Starting basic pay is Rs. 27,620/- (with 4 advance increments) in the scale of Rs.23700-980/7-30560-1145/2-32850-1310/7-42020 applicable to Junior Management Grade Scale-I. The candidates will be eligible for D.A, H.R.A/Lease rental, C.C.A, Medical and other allowances & perquisites as per rules in force from time to time.